Self-improvement is a concept that all people can relate to and a cornerstone of a healthy life. A similar concept exists for businesses in the form of continuous improvement programs. Such programs are common within the logistics industry and can help to separate the best 3PLs from the rest of the pack. In this article, we’ll examine key questions that you can ask prospective 3PLs about their improvement programs to help you assess their commitment to the health of your logistics operation. 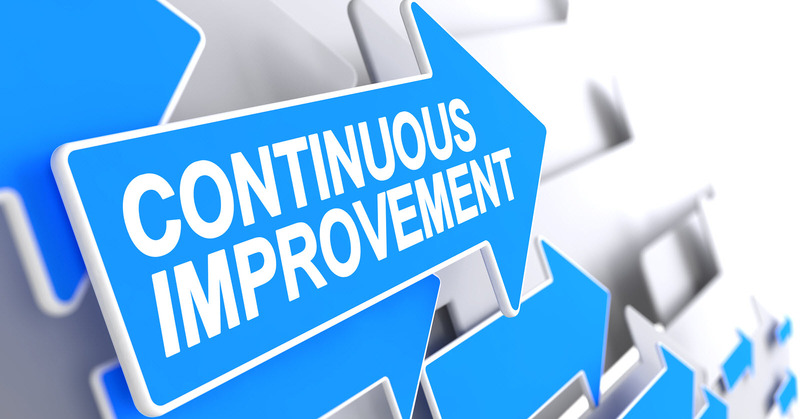 What is a continuous improvement program? These components are typically managed within a software application that provides company stakeholders with access to CIP materials and allows management to update materials, as necessary. If you’re looking for a 3PL partner, is it important that your 3PL regularly seeks to improve operations, prevent non-conformities and ensure that errors, should they occur, are never repeated? If so, here are 7 key questions to help you identify 3PLs who do just that. Are you ISO-9001 certified? While not every company that has a CIP will be ISO-9001-certified, every ISO-9001-certified company will have a CIP. ISO-9001 is one of the standards developed by the International Organization for Standardization (ISO). ISO is an independent international organization that defines expertly-agreed-upon methods of performing actions related to quality and consistency. Companies who are certified in the ISO-9001 standard have demonstrated a commitment to quality that goes far beyond lip service. Can we audit your processes? For some companies, especially those within the food and pharmaceutical industries, it’s not enough to know that a 3PL provider has a CIP – they’ll want to audit the CIP to ensure that it is compatible and up to their standards. This is a relatively common request and your prospective partner should have no problem sharing this information with you in fairly short order. Delays may indicate such processes are not yet documented. “How do you handle recalls?” Depending on your company’s product and service offerings, recalls may be a very big deal to your operation. If so, you’ll want to understand your prospective 3PL’s processes for identifying, separating, and holding products should they be recalled. Many 3PL providers also conduct regular mock recalls to boost preparedness in the event of a real recall. Materials related to these processes and procedures should appear within the provider’s CIP. What is your process for handling damaged or non-conforming products? Like recall preparation, the CIP should include the 3PL’s methods of handling non-conformities. For instance, it should detail the processes – and where responsibilities lie – if products arrive damaged at the warehouse or at the consignee location. You’ll want to understand what the corrective action(s) is and how it is implemented. What is your process for addressing service errors? 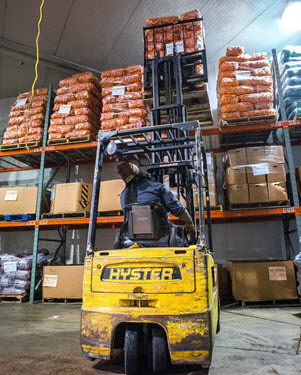 While every 3PL strives for perfection, the fact is that errors can and will occur. The key is to ensure that they are not repeated. For the services you have outsourced, the 3PL’s CIP should detail the corrective actions that will take place if those services are not performed optimally/as agreed upon. What is your associate training program? While documented policies, processes and procedures can go a long way in establishing a comfort level between you and your 3PL partner, they don’t mean much if they are not actionable. With this in mind, you need to understand the training regimens established for the associates who will support your business. In addition to understanding the thoroughness of initial training, you’ll need to feel comfortable that associates are regularly trained on updates to the CIP whenever they are made. A 3PL’s continuous improvement program is much more than a collection of policies and procedures – it is proof that the 3PL is truly committed to the quality of its services. Kanban Logistics is an ISO-9001:2015-certified provider with a robust CIP that drives all company processes and is regularly updated by management. All associates undergo thorough training on all appropriate CIP processes upon joining the Kanban team and are trained on new ones as soon as they are developed. To learn more about the benefits of working with a continuously-improving 3PL provider, contact Kanban today.